A DAY TO CELEBRATE COTTON-TOPS! 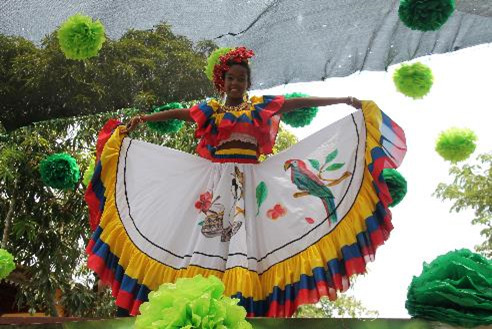 We Colombians love to celebrate, to dance to the beat, to sing out loud, and to dress up to honor our cultural heritage and our commitment to saving cotton-tops with our families, neighbors and friends. The Day of the Cotton-top builds on that passion for celebrating and builds local pride in how important cotton-top tamarin conservation efforts are for local communities. It has become an annual community celebration honoring this unique little Colombian monkey, and a tribute to all of the communities who are involved in helping to conserve cotton-tops. 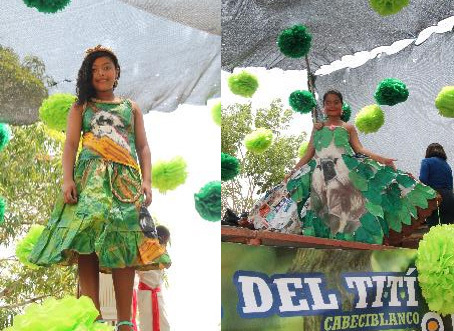 Students from local schools who participate in Proyecto Tití’s education programs compete in games and contests that challenge their knowledge about cotton-tops and their forest habitat. 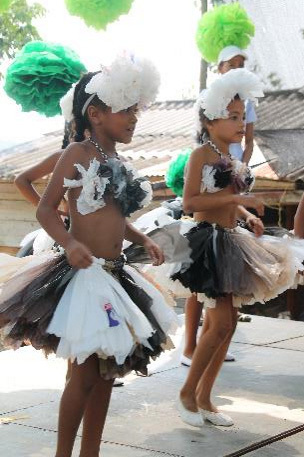 Every year they create songs, dances and costumes to share all of what they have learned about cotton-tops and to help motivate others in their communities to make changes at home and at school to help protect cotton-tops and the forest they call home. 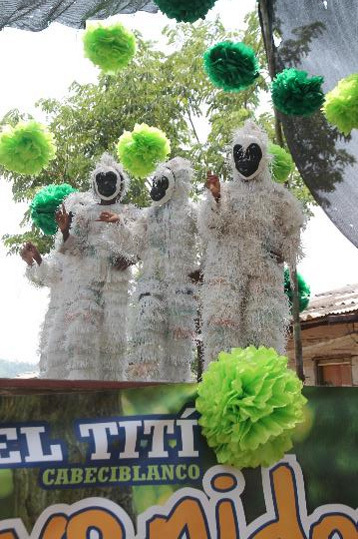 We were delighted this year to see so much creativity and resourcefulness in showing their cotton-top tamarin spirit! This celebration is a wonderful way to highlight those individuals who have joined us in making a difference for wildlife in Colombia and continues to be a source of inspiration for everyone who joins in the fun! SAVE A TREE, SAVE A TAMARIN…WITH ONLY $15! A NEW RESERVE FOR COTTON-TOP TAMARINS!